Ever make a mistake and sent the wrong message in Skype to a client? You can erase pending Skype messages. Here’s how. Ever have the experience that you send someone the wrong message in Skype or worse yet, you send the right message but to the wrong person? It happened to me today when I wanted to send one of my staff my client's contact info. Instead I sent him his own contact info. But he was offline at the time. So the message showed as pending. 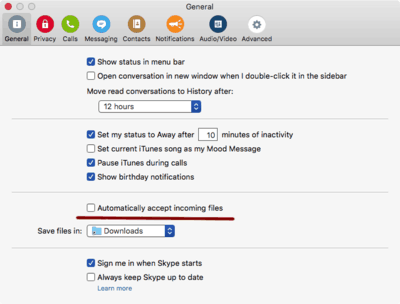 Is there anyway to cancel a pending Skype message? Keep reading Ever make a mistake and sent the wrong message in Skype to a client? You can erase pending Skype messages. Here's how.